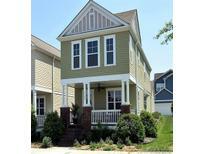 Below you can view all the homes for sale in the Summers Walk subdivision located in Davidson North Carolina. Listings in Summers Walk are updated daily from data we receive from the Charlotte multiple listing service. To learn more about any of these homes or to receive custom notifications when a new property is listed for sale in Summers Walk, give us a call at 704 604 8836. Home comes with a 30-day buyback guarantee. Terms and conditions apply. MLS#3496895. Opendoor Brokerage LLC. Move-in ready is only waiting for you! Welcome MLS#3495681. Wilkinson ERA Real Estate. Enjoy the neighborhood pool, walking trails, playground, and dog park in this wonderful neighborhood! MLS#3495240. Senter & Company LLC. * The Harbour Town / Coastal Series * Semi Custom 5 Bedroom 3 1/2 Bath Home & Bonus Room * Main Level Master Bedroom w/Sitting Area & Deluxe MBA Walk-In Ceramic Tile Shower * Upper Level: Bedroom#2,3 & 4 with Huge Bonus Room & Guest or Princess Suite (Bedroom#5) with Full Bath #3 * Fenced-In Backyard * Gourmet Kitchen: Huge Granite Island w/Globe Pendant Lights, 42" Upgraded Kitchen Cabinets, Granite Countertops, Ceramic Tile Backsplash, Stainless Steel appliances, Double Oven, Gas Cooktop & Huge Walk-In Pantry * FDR & Family Room Stacked Stone Fireplace w/Gas Logs * Main Level Owners Suite, Tray Ceiling w/Fan, Reading Area, Walk-In His & Hers Closets, MBA Ceramic Tile Shower w/ Bench, Garden Tub, Granite Countertop, Ceramic Tile Floor & Many More Upgrades... MLS#3494922. RE/MAX Leading Edge. Home comes with a 30-day buyback guarantee. Terms and conditions apply. MLS#3436557. Opendoor Brokerage LLC.